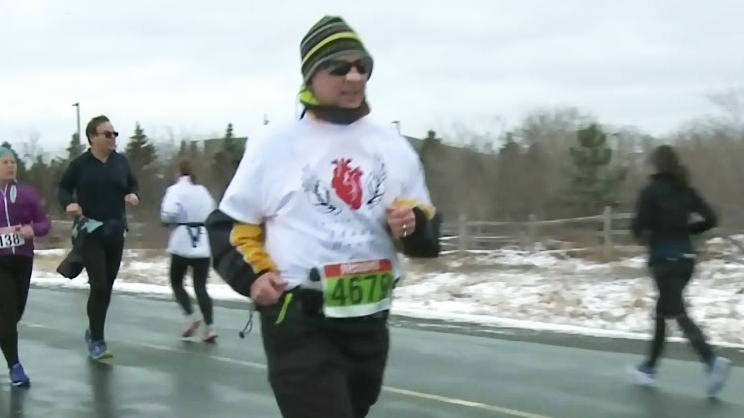 An Ontario man whose life was saved with a heart transplant ran his first 10-kilometre race over the weekend with the father of the donor cheering him on. John Dickhout was in his early 50s when he suffered a massive heart attack that left him so weak that he had difficulty walking up a flight of stairs. Two years ago, 22-year-old Adam Prashaw of Kanata, Ont., died following a seizure. Soon after, Dickhout was in surgery receiving Prashaw’s heart. Now that he’s gained strength, Dickhout wanted to show his appreciation to the Prashaw family by running a race near Prashaw’s hometown. 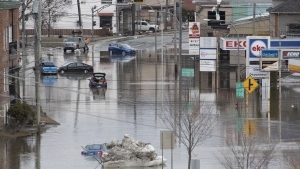 “I wanted to let my donor family know how much this gift meant to me and my family,” Dickhout told CTV Ottawa. Rick Prashaw, Adam’s father, gave Dickhout a big hug after he crossed the finish line, and told him that he was proud. “It was just like watching my kid in a hockey game,” Prashaw said with a smile. There were more than 1,500 people in Ontario on the wait list for an organ transplants as of Sunday, including about 35 waiting for hearts, reports the Trillium Gift of Life Network. Ontarians can register to donate their organs at BeADonor.ca. John Dickhout runs in Ottawa, Ont. 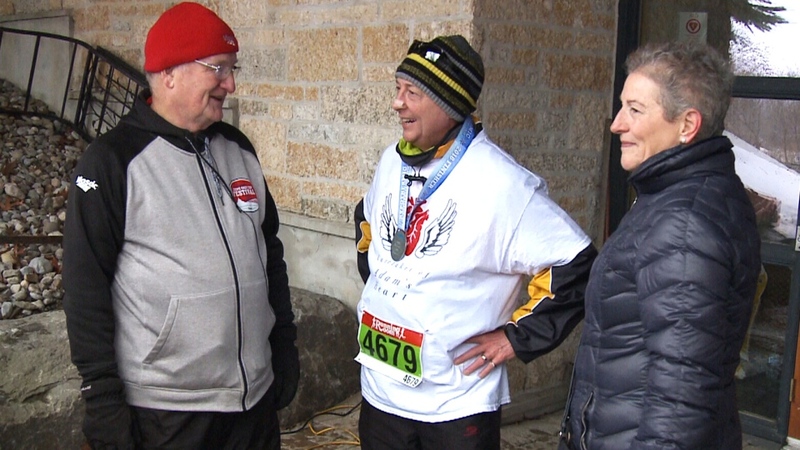 John Dickhout (centre) stands with Adam's father, Rick Prashaw (left), after completing the 10-kilometre race.